Boscage is a modern cafe that’s tucked away amongst a block of apartments in Surry Hills. The cafe has outdoor seating, an open kitchen and a sun drenched dining area at the back. 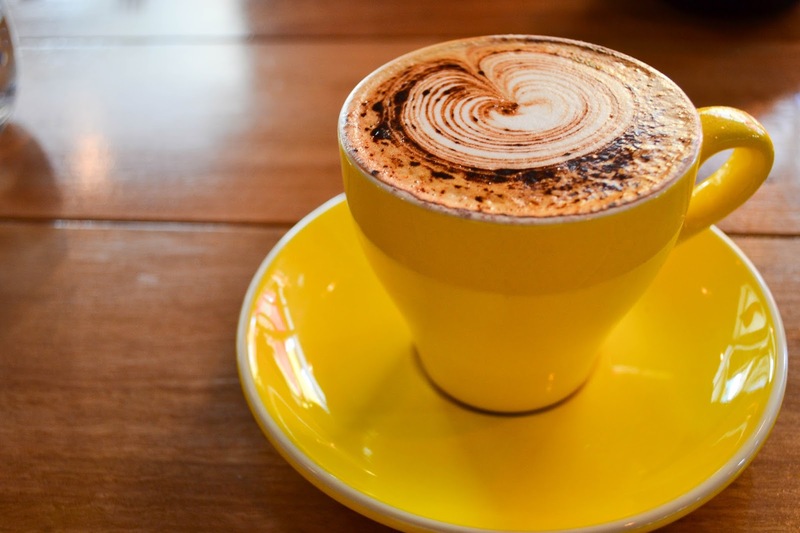 Stare out of the floor to ceiling windows for some people watching while you sip on your choice of caffeine. I picked a cappuccino ($3.50) as my go to cold drip was not on the menu (first world problems I know but it’s almost an unspoken rule for Surry Hills cafe to have cold drip). 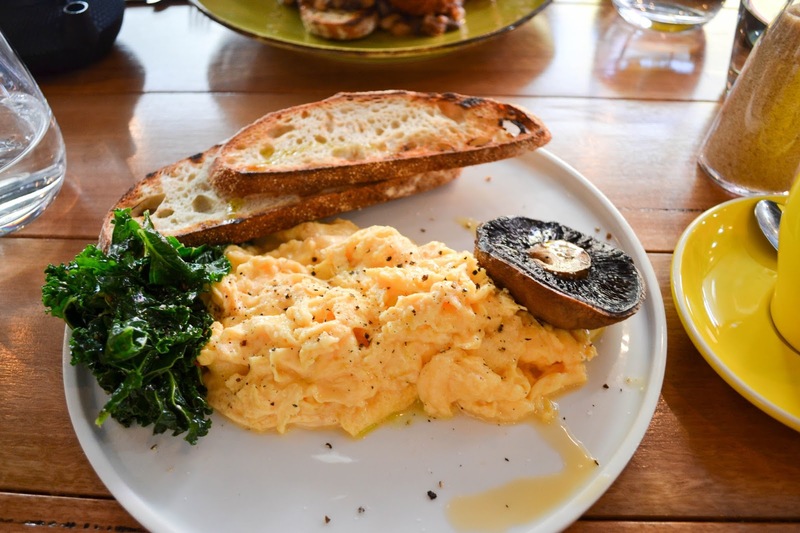 My Gruyere scrambled eggs ($18) is a generous golden heap that’s plated with a mushroom and some kale. Whilst the flavour was there, the eggs needed more Gruyere (you can never have enough cheese). 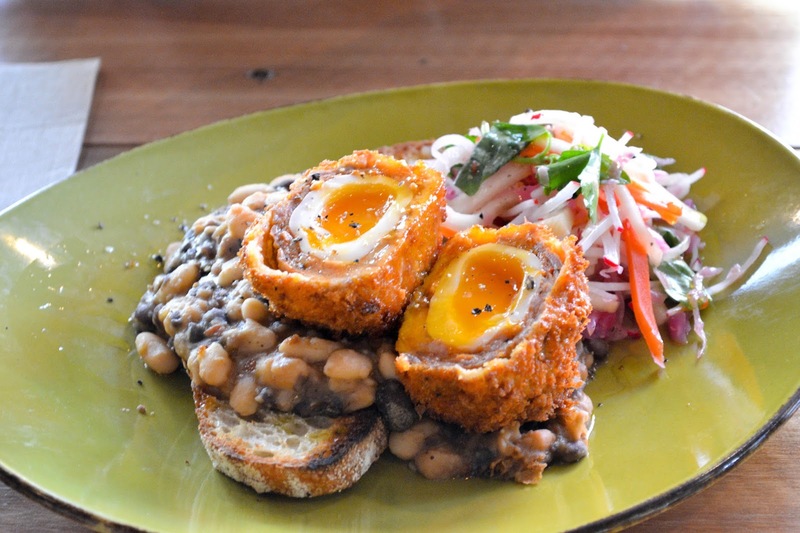 The Chorizo Scotch egg ($18) could certainly be Boscage’s signature dish, the runny yolk is nestled on a pile of braised beans and a rather acidic herb salad. Although the cafe has only been opened for a month or so, Boscage has potential to be another local hotspot after it irons out a few kinks (staff were forgetting orders). One star means good, two means very good, three is excellent and four is absolutely incredible culinary experience. This post was based on an independently paid visit. © 2015 - Chew Your Chow. All Rights Reserved.